The University of Central Florida is a thriving preeminent research university located in metropolitan Orlando. 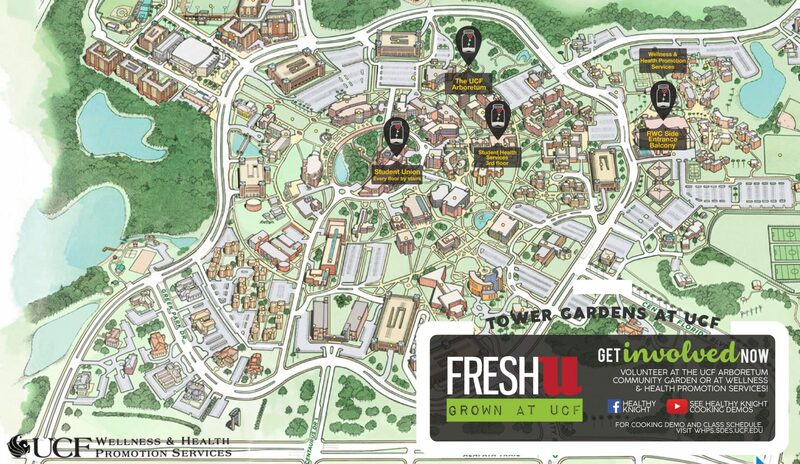 With more than 68,000 students, UCF is one of the largest universities in the U.S. and they have been growing Tower Gardens since 2014. The tower gardens are aesthetically pleasing, space efficient, highly productive systems that meet the needs and demands of our University. 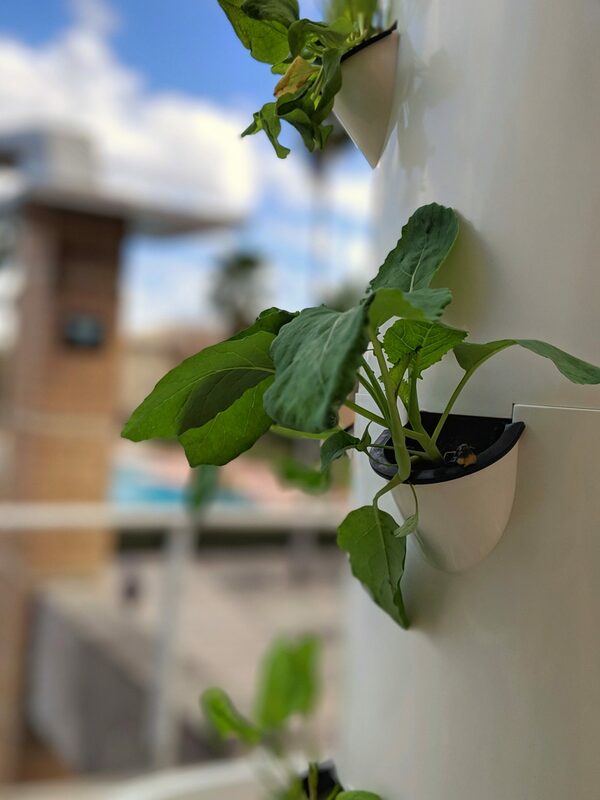 The tower gardens are utilized as educational showpieces to demonstrate sustainable agricultural practices within urban environments, as well as serve as a functional means of providing fresh, local pantry for UCF’s Knights Pantry. How many Tower Gardens did you start with and what was your plan for these? How many do you have now? We initially began with 3 towers and have now expanded to 17 towers throughout the campus. The most recent expansion was the addition of 8 commercial towers that are 11 ft tall and house 44 plants per Tower. The other 9 Tower Gardens are located throughout the campus and are grown inside with grow lights. What has been the reaction from the students, teachers and parents? Students and staff have all responded positively with excitement and fascination for this modern means of plant cultivation. How many Tower Gardens would you like to have over time and will they be used for anything other than explained above? We would love to continue expanding as long as space and funding permit! How were you able to raise the funds? Our systems have all been funded from grants. Specifically the UCF Parent and Family Fund grant has been one of our primary contributors toward making this initiative possible. If you are an educational facility and would like to implement a similar program, please contact us below.